This Festive Season Gift your child a friend!! iSpark has now opened up its studio for unlimited access. Yes…you heard it right. Become a member of iSpark under the “iSpark Membership Plan” and enjoy unlimited access to this beautifully designed space at the heart of the city. Take your child off TV and Phone. 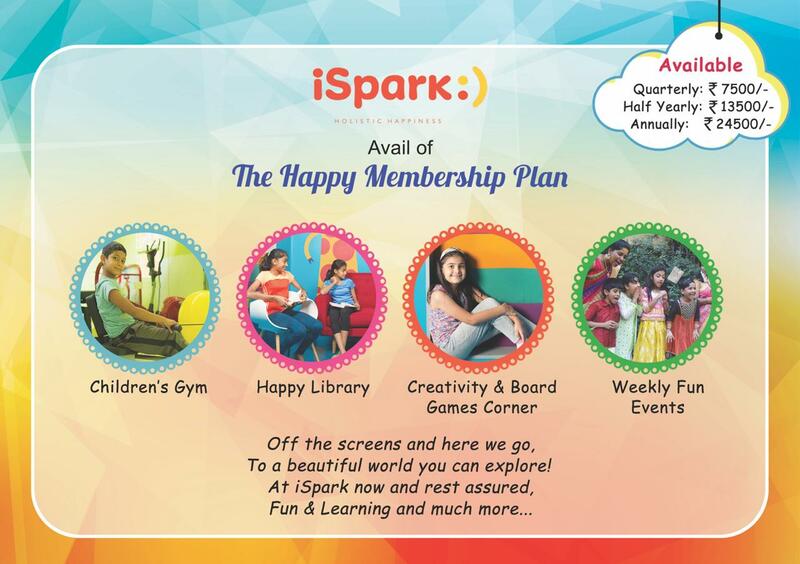 Drop them at iSpark anytime, anyday and be rest assured that your child will Learn while having Fun!! Pre booking is mandatory and can be done by contacting 044-43570807/8825970607 or writing at info@isparkholistic.com. The studio timings 10.00 AM – 8.00 PM. Studio Working Days – Monday to Saturday. The time duration for a particular day should be within 3 hours. Minimal charges would be levied for specific events.